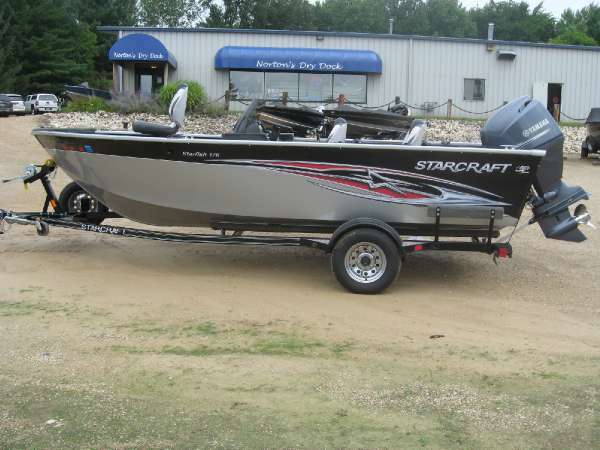 2014 STARCRAFT MARINE Starfish 176 SC Great boat, super clean! 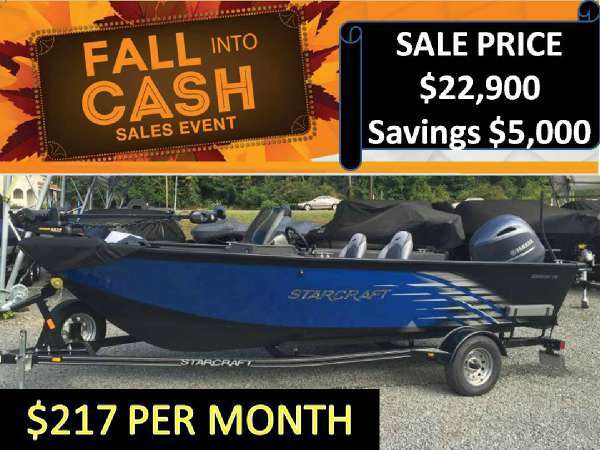 This 2014 Starfish 176 SC aluminum fishing boat from Starcraft has the features and versatility you’re looking for in a value-oriented boat. Powered with a Yamaha F115LA engine with only 53.1 hours. Plus the manufacturers warranty thru 2/5/17!! 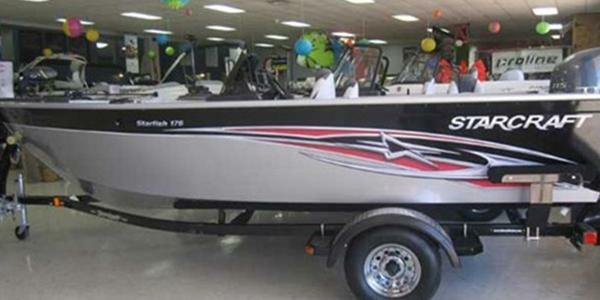 Includes boat cover and engine cover, and Pro Mariner 3 Bank Charger. StarCraft bunk trailer with spare tire, load guides and transom saver. - Don't Wait Around on this One!